iPrecisionMic is the latest addition to the Studio Six Digital family of acoustic measurement products. Plug it into your iOS device running AudioTools for a Class 1 (Type 1) certification-ready sound level meter. Perfect for noise monitoring and surveys, critical acoustical analysis work, and any time that a high-quality professional microphone is required. iPrecisionMic is a Class 1 (Type 1) certification-ready microphone that is also an iOS direct-connect Lightning accessory. iPrecisionMic is factory calibrated to +/-0.1dB using a NIST traceable pressure-compensated calibrator. 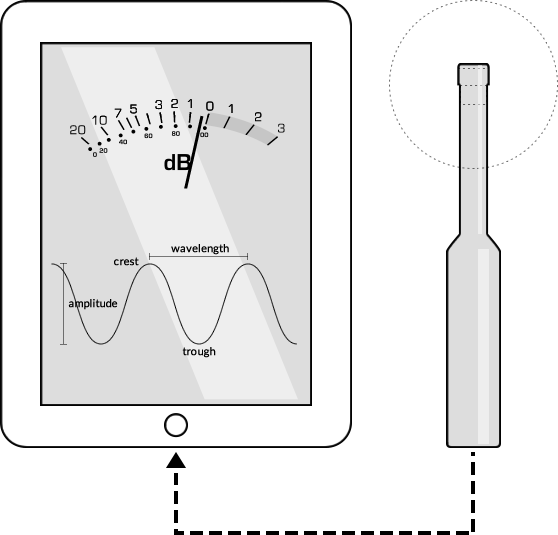 The calibration offsets are store in the microphone's nonvolatile memory, and are transferred automatically to an iOS device running our AudioTools app. All of the active electronics are in the microphone body, including the microphone preamplifier, precision 24-bit A/D converter, and the circuitry required to communicate with Apple devices via a digital audio link. This means that we are not reliant on the analog electronics stages in the iPhone or iPad, but rather we completely bypass them with a digital audio link. iPrecisionMic can be powered directly from the iOS device battery. It uses less than 60ma while audio is active, and much less when idle. In testing we found that an iPad running Audiotools ran continuously for over 18 hours off the battery (with the screen turned off). Alternatively, use the included AC adapter and run the device continously whilst also charging the battery of the attached iOS device. Thus, not only is iPrecisionMic accurate, clean, and calibrated, but it requires no setup when connected to our apps. 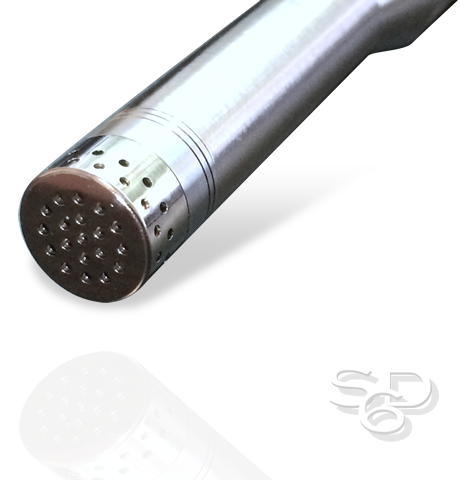 Instant, calibrated SPL measurements. Share it between several users, confident in knowing that it will also give you the same calibrated, reliable results no matter who is using it. 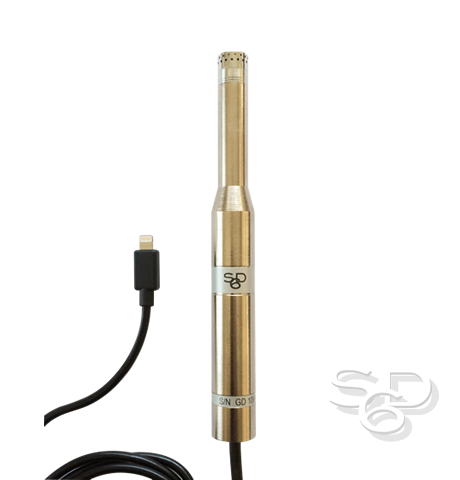 The microphone is built of beautifully finished nickel-plated solid bronze tubing, with no seams or welds. It has very low susceptibility to mechanical resonances. When equipped with a weatherproof windscreen and a protective boot on the cable end, it may be used outdoors in all weather conditions. iPrecisionMic will automatically unlock the SPL Pro and SPL Graph modules (including octave band logging) in AudioTools. It will also trigger measurements to be processed in 24-bit mode.